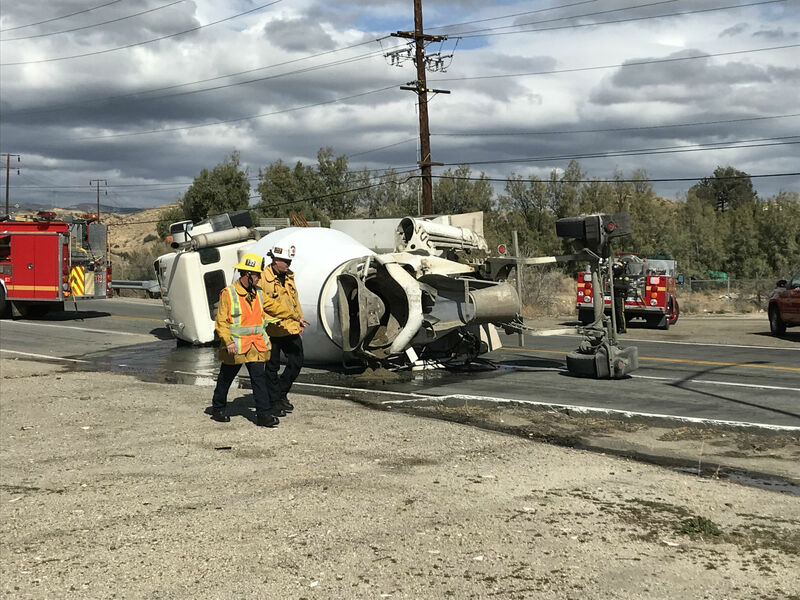 A cement truck overturned and is leaking fuel near the intersection of Sierra Highway and Vasquez Canyon Road in Canyon Country Wednesday morning, but no one was injured, according to authorities. “The Los Angeles County Fire Department was dispatched at 10:50 this morning to a report of a traffic collision with persons trapped at West Sierra Highway at Vasquez Canyon Road,” said LACoFD Inspector Randy Wright. The cause of the crash is under investigation, said Sgt. Pack, spokesman for the CHP’s Newhall area office, at noon. Someone’s losing their job. I do believe cement trucks don’t corner that well. Took the corner to fast.